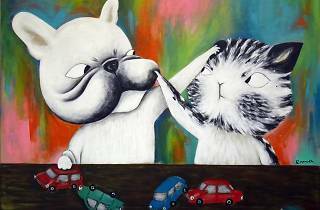 Check out these hilarious artworks of small animals at Gallery by the Harbour. As you might have guessed from the name, this Funny Funny Art Exhibition is a light-hearted showcase of humourous paintings by Taiwanese illustrator Emma Lin. Her paintings of anthropomorphic French bulldogs and other cute animals convey a unique sense of childlike happiness and mischief. 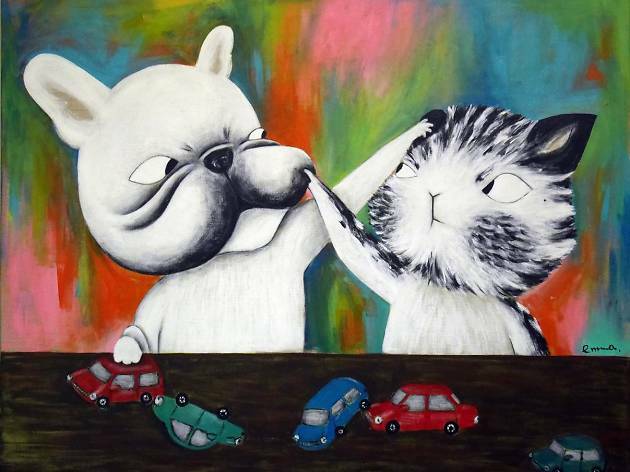 Lin manages to combine small animals and human traits in her paintings, resulting in comical yet heart-warming works of art.